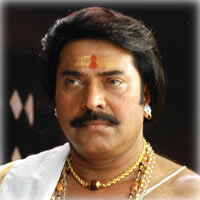 Pazhassi Raja, the first ever Malayalam film that is made at a huge budget of Rs. 27 crores was released among much expectation in about 130 theatres across Kerala. The film’s Hindi, English, Tamil and Telugu version will hit the screens by the end of October, says sources close to the production house Sree Gokulam Movies. Pazhassi Raja has Mammootty playing the title role and sharing the screen space with him for the first time in a Malayalam movie is Tamil star Sarath Kumar. This period film is about a king who fought against the British about five decades before the Sepoy Mutiny in 1857. Kamal and Suriya are the best actors!